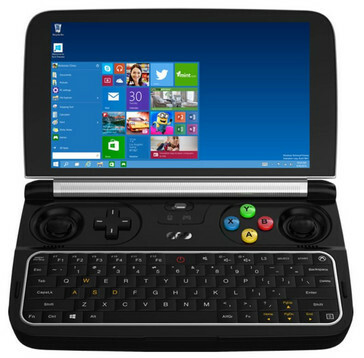 The GPD Win 2 Indiegogo campaign gives as a look look at the upcoming handheld Windows gaming device, its specifications, and performance comparisons. The GPD Win 2, a Windows 10-based handheld gaming device with a 6-inch touchscreen that leaked a few months ago, has now been made available to back via an Indiegogo campaign. 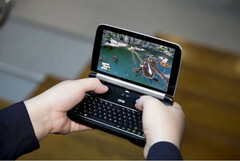 The older GPD Win was popular for playing older windows games or for emulating games from previous console generations thanks to the joysticks and controller like buttons on the front. However, it’s main weakness was the Intel Atom x7-Z8700 processor at its heart and the equally low-tier integrated graphics. The GPD Win 2 is definitely an upgrade in this respect. The Intel Core m3-7Y30 is still a lower end mobile chipset, but it is well suited for small form factor systems. 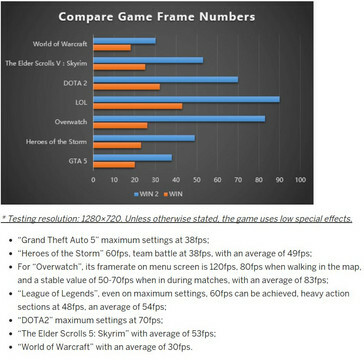 GPD’s own testing shows frame rates of roughly 1.8 to 2.0 times higher at the same 720p resolution and graphics settings (GPD reports 2.2 times increase). Part of this performance difference can be attributed to the active cooling solution which we suspect helps sustain performance better over time compared to the passively cooled designs customarily used with this processor. This means that they’ve been able to increase the TDP from the standard 4.5 W found on the m3-7Y30, up to 15 W, placing performance closer to a U-series chipset of the same generation. Almost every other aspect of the device has also been upgraded over its older sibling. The screen is 0.5 inches larger at 6 inches, RAM has been doubled to 8 GB, storage is also doubled with a 128 GB user upgradeable M.2 SSD instead of slower eMMC, a 60 percent increase in battery capacity, more metal reinforcing, and a larger/more usable keyboard. 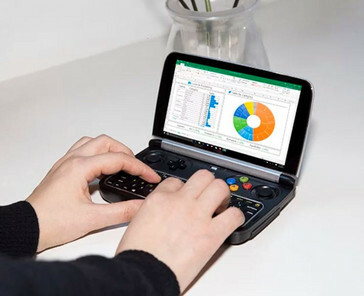 With that keyboard in mind, it is worth mentioning that the GPD Win 2 is running a fully-fledged version of Windows 10 Home and this means it can be used as a tiny (cramped) notebook if so desired. It has USB (type A and type C) as well as Micro HDMI for input and output connections, or for connecting peripherals. If you aren’t concerned with the gaming, and would rather trade some performance for a more premium design and larger keyboard then the GPD Pocket would probably be a better option here. Note: Although GPD refers to the Win 2 as a gaming device, it doesn't feature a dedicated GPU; It uses integrated graphics that could be considered lower-midrange within Intel's lineup, and relies on the screen's low resolution to provide adequate performance while the small size provides a decent DPI. The cheapest ‘backers’ bracket has sold out, but there are still units available at US$649 (including shipping). The expected MSRP from the manufacturer is US$899 after release. Keep in mind that there are always risks associated with backing crowdfunded products, although GPD has produced and delivered devices in the past, so this is manufacturing funding rather than business start-up money.